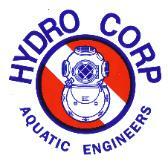 The Hydro Corporation is available 24 hrs a day 7 days a week. services, products, or consulting. You will receive a reply promptly. consideration. You will receive a reply promptly after receipt of documentation.